Liverpool U18s are hoping to get a Premier League title charge under way on Friday when they face Manchester United at Altrincham. The young Reds' meeting with their old rivals is the first in a seven-game run that could see them end 2016-17 as champions. But how have they reached this point and what must they do now to clinch the trophy? Find out with our guide to the U18s below. 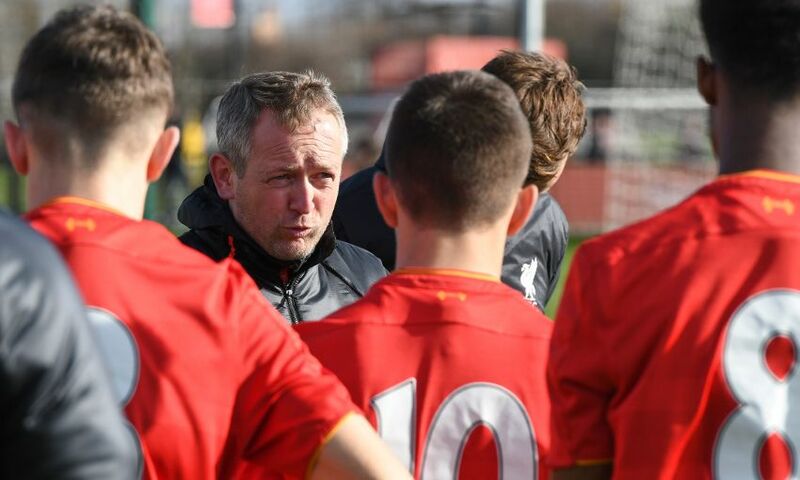 Neil Critchley's team earned a shot at silverware by claiming a third-placed finish in the northern section of the U18s top flight in the first half of the campaign - behind Manchester City and United. They lost just four of their 22 fixtures in that branch of the competition, and embarked on a remarkable 13-game unbeaten run between September and February. The Reds were also the only team to inflict defeat upon runaway leaders City, doing so in the final game before the sides were split into their end-of-season mini-leagues. Liverpool's bid for the title will see them compete with the three other teams who finished in the top four of the north division, as well as their southern counterparts. United, City, Blackburn Rovers, West Ham United, Reading, Arsenal and Chelsea are the sides standing between Critchley's men and Premier League glory. Four of the Reds' remaining games will be played away from Kirkby, with the teams who finished in the top two spots in their regional divisions rewarded with a greater number of home fixtures. The sides who finished in the middle and lower regions of their league have also been placed into groups, though they will compete only for pride over the remainder of the season, rather than the title. The U18s have averaged over two goals per game so far this term, a stat which is not particularly surprising given the attacking talent at their disposal. The likes of Rhian Brewster, Liam Millar and Glen McAuley have proven themselves as capable goal-getters in 2016-17, while Okera Simmonds has recently emerged as another quality option up top. But with seven huge games approaching, the young Reds may well need to look to their 'clutch' player - Yan Dhanda. Dhanda scored in each of his team's meetings with Manchester United and Everton this season, with one of those goals a last-gasp winner against the Toffees at Finch Farm.